As you can see, the DHT22 is a little more accurate and good over a slightly larger range. Both use a single digital pin and are 'sluggish' in that you can't query them more than once every second or two. You can pick up both the DHT11 and DHT22 from the adafruit shop! 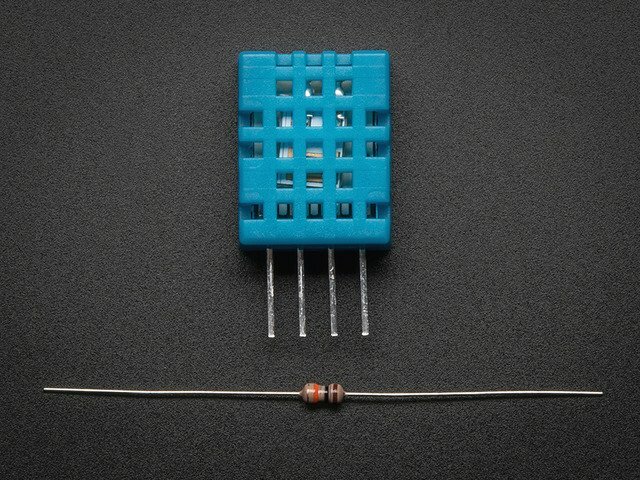 Luckily it is trivial to connect to these sensors, they have fairly long 0.1"-pitch pins so you can plug them into any breadboard, perfboard or similar. 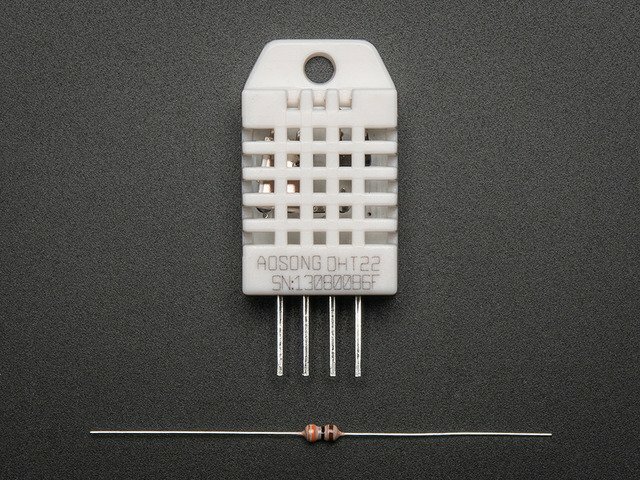 VCC - red wire Connect to 3.3 - 5V power. Sometime 3.3V power isn't enough in which case try 5V power. DHT22 and AM2302 often have a pullup already inside, but it doesn't hurt to add another one! This diagram shows how we will connect for the testing sketch. Connect data to pin 2, you can change it later to any pin. To test the sketch, we'll use an Arduino. You can use any micrcontroller that can do microsecond timing, but since its a little tricky to code it up, we suggest verifying the wiring and sensor work with an Arduino to start. Enter “dht” in the search field and look through the list for “DHT sensor library by Adafruit.” Click the “Install” button, or “Update” from an earlier version. This will make the data appear correctly for the correct sensor. Upload the sketch! You should see the temperature and humidity. 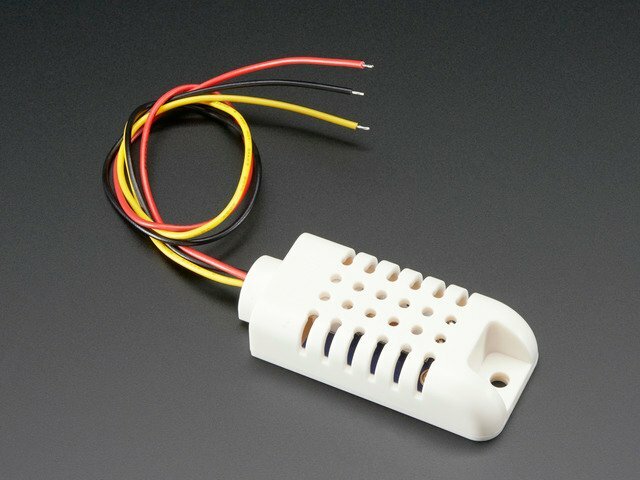 You can see changes by breathing onto the sensor (like you would to fog up a window) which should increase the humidity. below the declaration for the initial dht object, and you can reference the new dht2 whenever you like.